Home/Blog/What’s the Difference Between Malpractice and Negligence? When someone is injured or killed because of the actions of a medical professional, it can be categorized as medical malpractice or medical negligence. For civilians, it can be difficult to understand the difference between these two concepts. However, these two types of wrongdoing are not the same and may lead to different outcomes in court. A medical professional is guilty of negligence when he or she ignores basic responsibilities and indirectly causes a victim to be injured or killed. In this case, the professional doesn’t intend to cause the victim any harm but instead does so because of ignorance and/or a lack of action. Medical negligence cases often involve unintentional mistakes or oversights. A medical professional is guilty of medical malpractice when he or she intentionally fails to provide standard, acceptable care to a patient. This failure results in the injury or death of the individual. Cases involving medical negligence or medical malpractice are often complex. A qualified lawyer can help you determine whether your case falls under the heading of medical negligence or medical malpractice based on the nature of the provider’s actions and the standard of care generally recommended within the medical community. In cases where the provider is guilty of medical malpractice, the court may also consider awarding punitive damages. These damages are awarded when the court determines that simply making the provider pay for the direct results of his or her mistake isn’t enough to make up for the incident. The purpose of punitive damages is to punish the provider for his or her wrongdoing. Most courts reserve this type of damages for extreme cases. If you or a loved one has been injured or killed because of a medical provider’s actions, you may be able entitled to receive compensation for your losses. However, winning a medical negligence or medical practice case isn’t easy. In order to maximize your chances of winning the case, you need to present as much compelling evidence as possible in court. One of the best ways to improve your chances of success in the courtroom is to hire a medical expert witness. A medical expert witness is a physician who uses his skills and knowledge to testify as an expert on your behalf in court. After reviewing the facts associated with your case, the expert will take the stand and explain the medical provider’s errors in terms that the judge and members of the jury will understand. 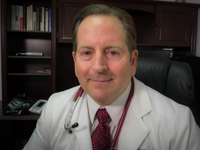 Dr. Edward Mallory practiced emergency medicine for more than 25 years. As a trusted, experienced medical expert witness, he can help you build a strong argument in your medical negligence or medical malpractice case. Please contact Dr. Edward Mallory today for a free evaluation of your case.